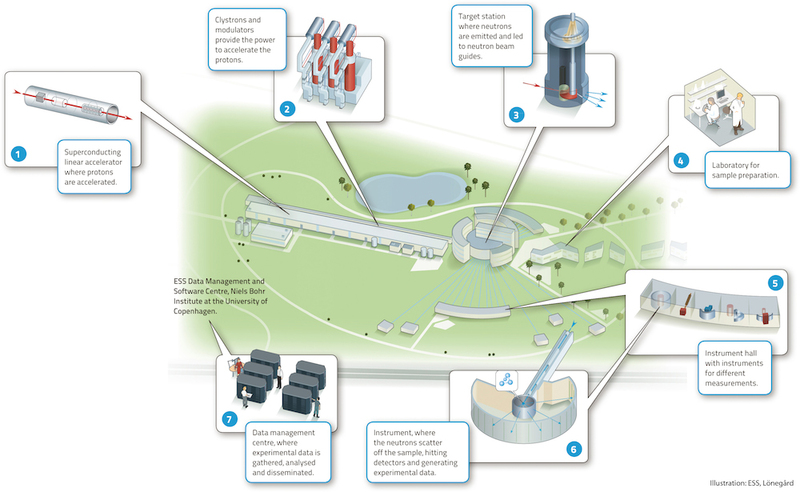 The European Spallation Source is a neutron research facility that will be built in Lund. It will produce intense neutron pulses to be used for material studies and other fields of research. The neutrons are produced by bombarding a target of tungsten with an intense proton beam. This beam is pulsed and in turn generated by a linear accelerator. The protons are accelerated along the linac in steps, where each small step is done in a resonant cavity. Here the acceleration is done by coupling radiofrequency (RF) energy to the protons. In order to make this work, each cavity must add the exact right amount of energy, and at the correct time, to the protons. This translates to that the cavity must have the correct phase and amplitude of the field inside it. In order to keep all the cavities synchronized to each other, there will be one central master oscillator which generates the master clock to the complete accelerator and all other installations at ESS. At EIT we are developing the control systems, call Low Level RF systems (LLRF), that will make sure that the fields of the cavities are within the limits of operation of the accelerator. This is done in a design that combines RF engineering, VHDL implementation of control algorithms and design of state of the art control schemes, the latter in collaboration with the department of automatic control. We are also involved in the design of the accelerating cavities, radiation effects on electronics, timing distribution systems and giving PhD-courses in the subject of linear accelerator design.